Taipei, June 12, 2018 – KYMCO announced the launch of two new groundbreaking electric scooter models and demonstrated the company’s commitment to making electric a popular reality for consumers worldwide. The beautiful retro-styled KYMCO New Many 110 EV scooter is designed for the younger generation while the KYMCO Nice 100 EV aims to attract a wider audience of electric converts. The two new models are the tip of the iceberg with regards to KYMCO’s electric vehicle plans for the near future. KYMCO boldly sets to launch 10 distinct scooter models within the next three years, and transform the world’s electric scooter landscape starting with Taiwan, a market with the world’s highest scooter density. “Persistence.” It is this spirit that has led KYMCO to excel and transformed KYMCO into a respected global brand. 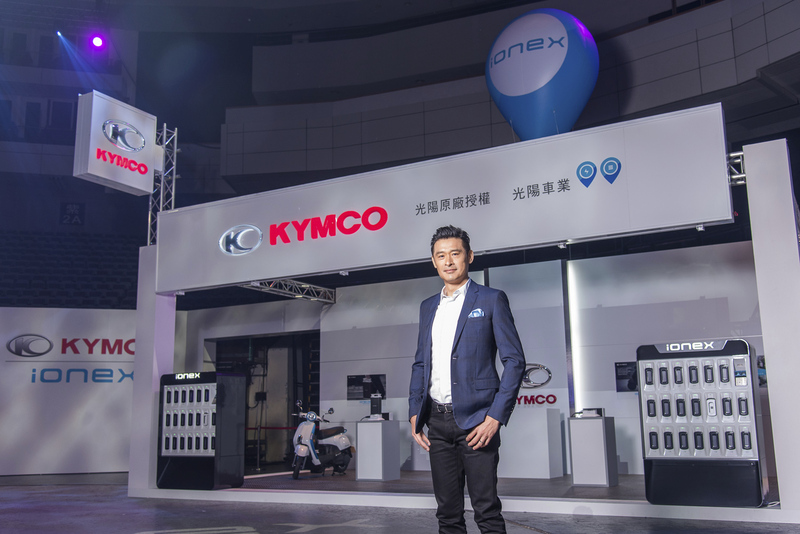 “Win My Heart means going above and beyond to put the customer at the center of everything,” said Allen Ko, Chairman of KYMCO. “It’s our longstanding conviction to dedicate ourselves to creating the most thoughtful riding experience for everyday life.” There are three pillars that make up the essence of “Win My Heart” and guide everyone at KYMCO to deliver its “Win My Heart” brand experience to the consumers. The first pillar is “Distinctions”. “Distinctions” means to be not only different from alternatives, but also superior. Awe-inspiring distinctions are evident in KYMCO New Many 110 EV and KYMCO Nice 100 EV announced today. While other electric scooters compromised their under-seat storage space for battery installations, KYMCO used innovative design to make it larger than ever. While others require tedious processes to remove the batteries, KYMCO made it not only delightfully easy, but also cool to watch. While other scooters can’t be ridden once the battery is removed, KYMCO lets riders continue riding and going about their business while they charge their battery. While others use large motors that drain energy, KYMCO pioneers Biactron efficiency technologies that deliver better real world performance per kW power. And while others suffer from the lack of proper charging infrastructures, KYMCO gives riders the power outlet network, charge point network and energy stations, so they never worry about range. The second pillar is “Pride”. “Pride” means KYMCO vehicles must be truly outstanding such that customers feel proud to be a KYMCO owner. Therefore, even though KYMCO had made major progress in electric vehicle development during the past many years, the company chose to keep a low profile before it reached the exceptionally high level of “Pride”. 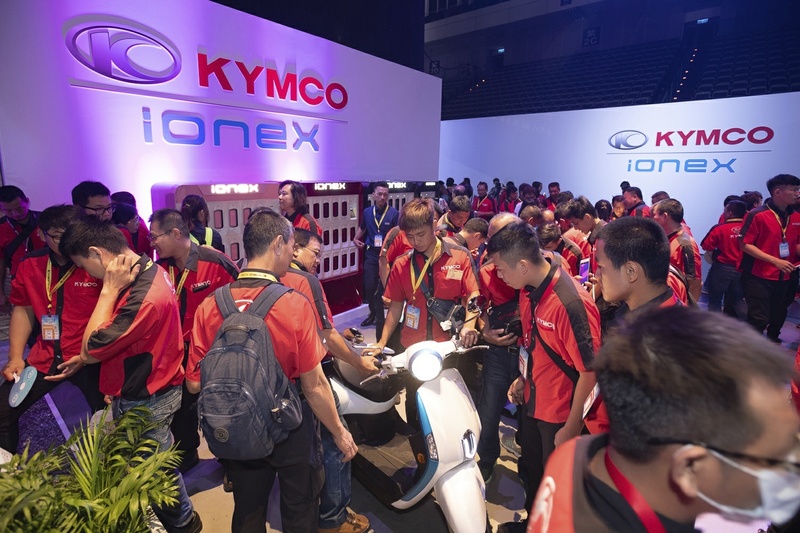 It was not until when countless innovative technical breakthroughs had been achieved did KYMCO decide that the revolutionary Ionex e-scooter solution indeed attained the “Pride” standard that enables consumers to embrace electric without compromise. The third pillar is, “Persistence”. “Persistence” means to persistently make progress day after day and, over time, achieve what was previously unthinkable. Twenty years ago, KYMCO launched its first electric scooter; back then, the range was 30 km, and the charge time was 6 hours. The longstanding conviction to make the world greener, to make our cities cleaner, and to make electric a popular reality for people has never diminished during these twenty years. 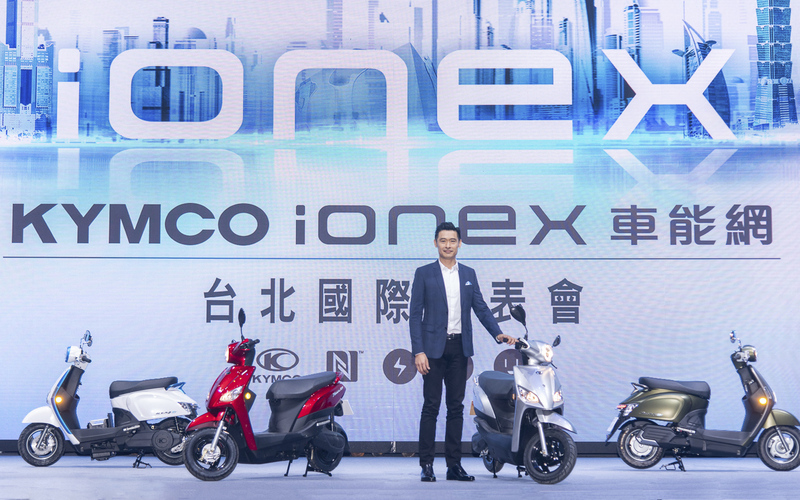 Finally, today KYMCO launches the world’s first Ionex scooters – KYMCO New Many 110 EV and KYMCO Nice 100 EV – to pioneer the green movement in personal transportation. 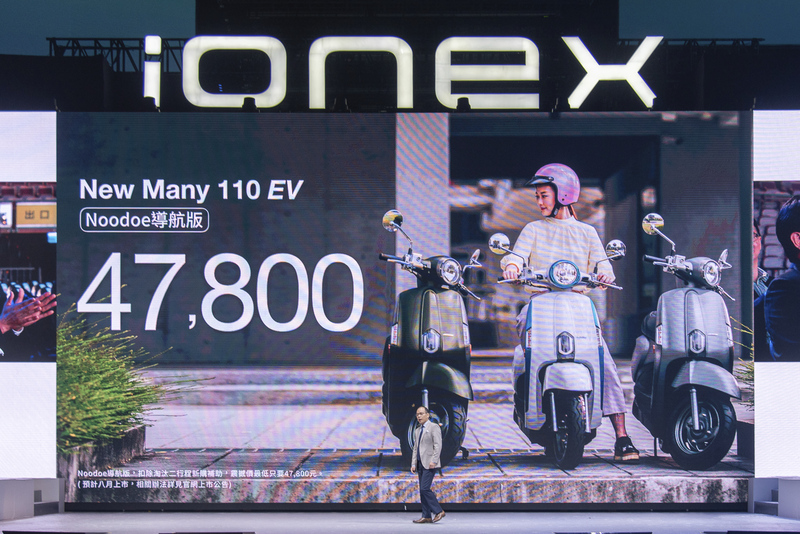 First of all, to provide consumers the “Win My Heart” charging infrastructure in Taiwan, KYMCO will complete the deployment of 1,500 Ionex fast charging stations on day one of shipping its first Ionex e-scooters. 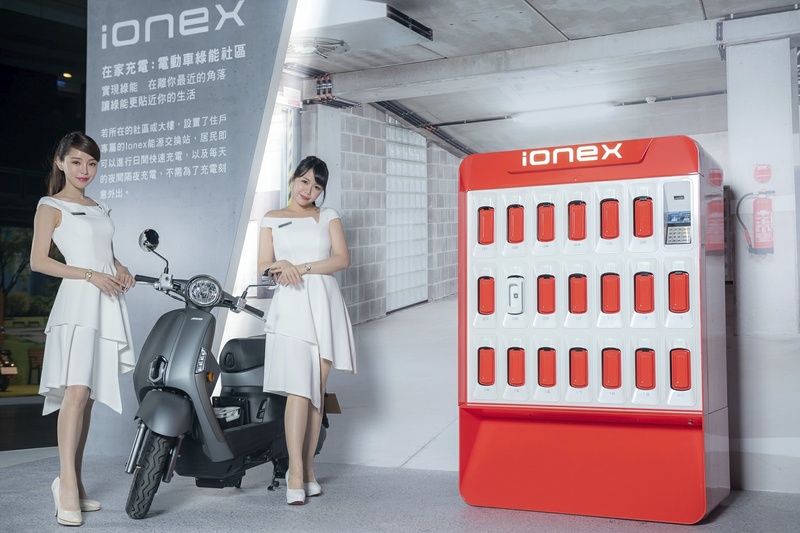 By the end of 2019 KYMCO will complete the deployment of 2,000 Ionex energy stations, so riders can easily rent swappable shared batteries for long-distance travel. Furthermore, in two years KYMCO will have more than 30,000 shared outlet spots to completely eliminate any range anxiety riders may have. 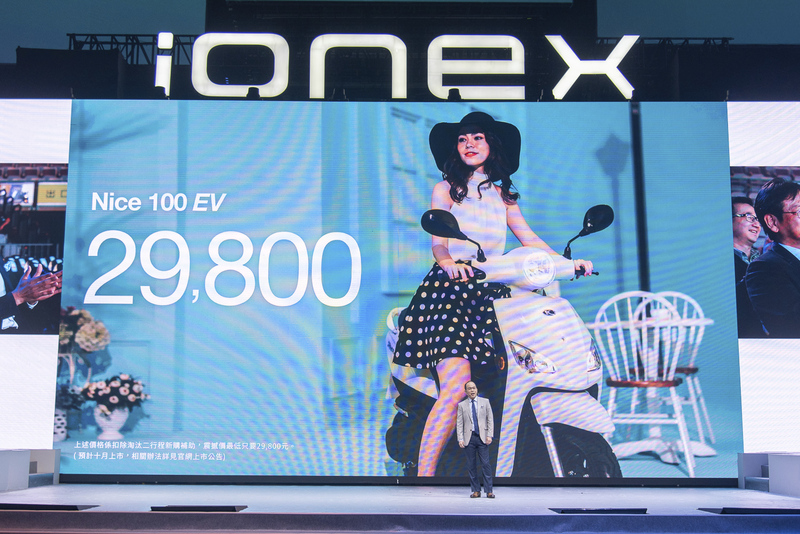 Second, to provide consumers the “Win My Heart” home charging experience, Ionex e-scooter is designed with the industry’s first smart energy bay. Complemented by the extremely light 5 kg battery, riders can easily carry the battery home to charge at night and leave home fully charged every morning. 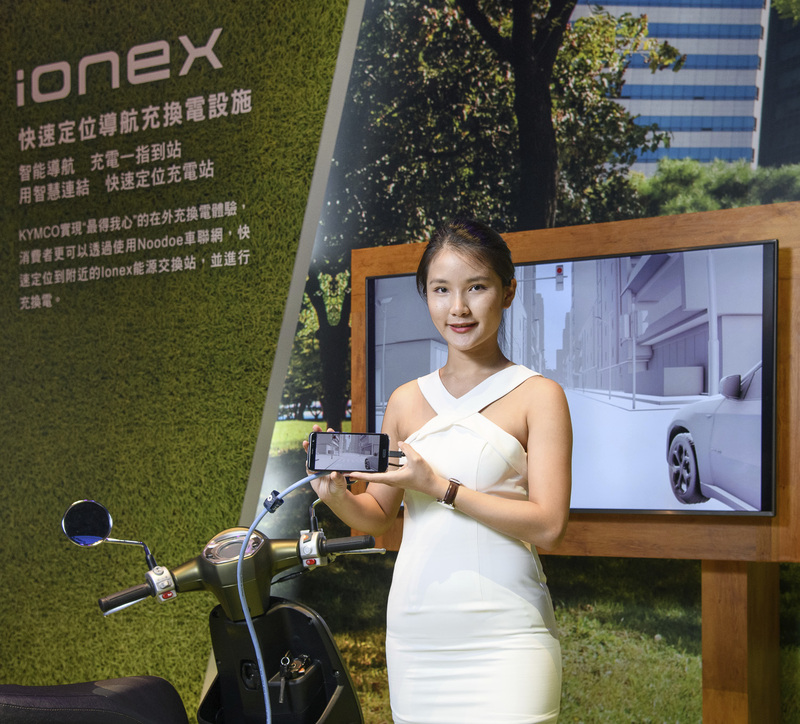 To make overnight charging even simpler for apartment residents, KYMCO will launch the “Ionex Green Ready Community” project. Energy stations will be set up in public parking lots of residential buildings. Third, to provide consumers the “Win My Heart” e-scooter ownership experience, KYMCO will offer unprecedented warranty and service. Every Ionex e-scooter comes with a 5 year core battery warranty and a 10 year power motor warranty. 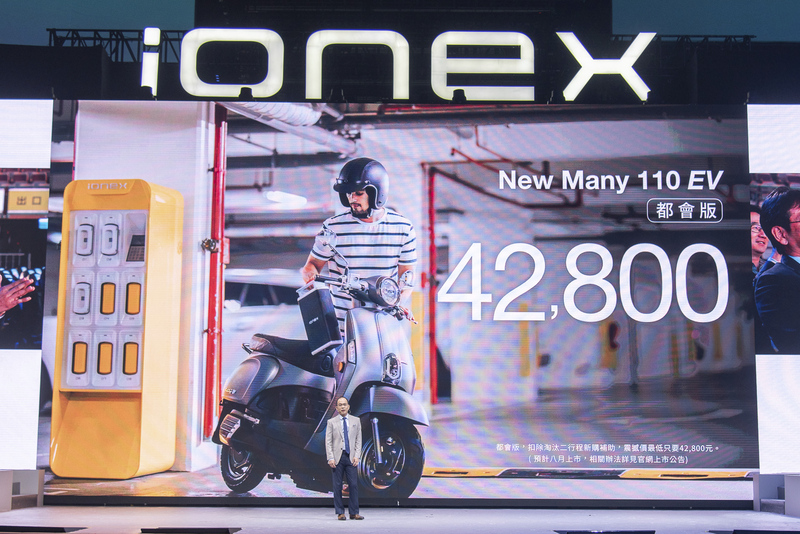 Meanwhile, to ensure Ionex users don’t have to pay high price for the riding mileage, every Ionex e-scooter comes with a lifetime-warranty personal rental battery. Monthly rental that comes with 1,000 km of basic riding mileage costs only US$10 (NT$299). Finally, to provide consumers the “Win My Heart” products that fulfill different desires, KYMCO will launch 10 electric models over the next three years. Each scooter model will target different users and exhibit distinct characteristics. This ambition starts today with the introduction of two light-duty class electric vehicles – KYMCO New Many 110 EV and KYMCO Nice 100 EV. Next, KYMCO will introduce regular-duty electric vehicles as well as heavy-duty electric vehicles. KYMCO’s goal of developing electric scooters is to make green vehicles a practical reality in everyone’s daily life. 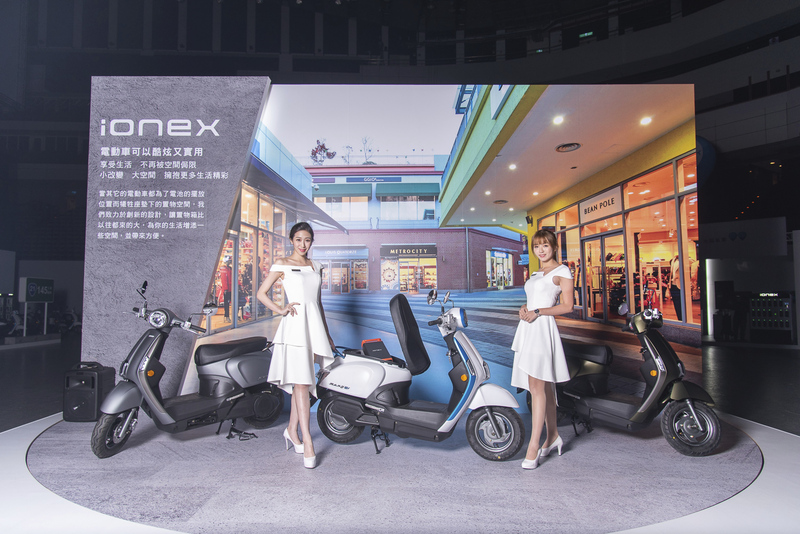 KYMCO New Many 110 EV is an Ionex e-scooter designed for younger generations of riders who like fashion and retro styling. The New Many 110 EV is expected to be available in August and comes with two versions. With the government subsidy factored in, the prices consumers actually pay for the New Many 110 EV Noodoe Navigation version and the Standard version can be as low as US$1,590 (NT$47,800) and US$1,420 (NT$42,800) respectively. KYMCO Nice 100 EV aims to attract an even wider audience of electric converts with its practicality and affordability. KYMCO Nice 100 EV is expected to be available in October. With the government subsidy factored in, the price consumers actually pay can be as low as US$990 (NT$ 29,800).